The most memorable day of your lives deserves the perfect venue. Abacoa Golf Club offers an enchanting setting with romantic views you can only find in picturesque Jupiter, Florida. Benvenutos Restaurant is a 1929 Mizner inspired building surrounded by breathtaking gardens and Tuscan influence architecture. 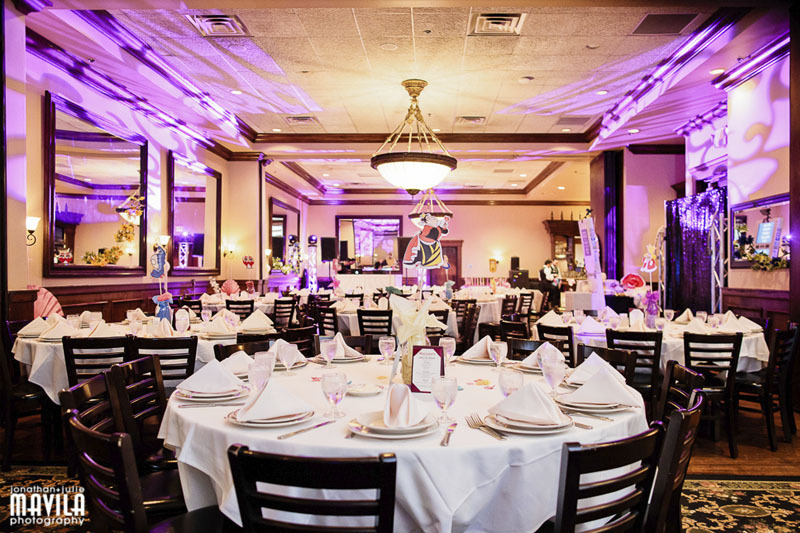 With over 38 years of experience it has become the premier catering and banquet destination in Palm Beach County. From intimate, informal family gatherings to elaborate, one-of-a-kind wedding celebrations, engaging business meetings to the most talked-about social events of the season, Breakers West combines incomparable food, impeccable service and an unwavering eye for detail with the picturesque backdrop. A memorable day deserves a memorable location. 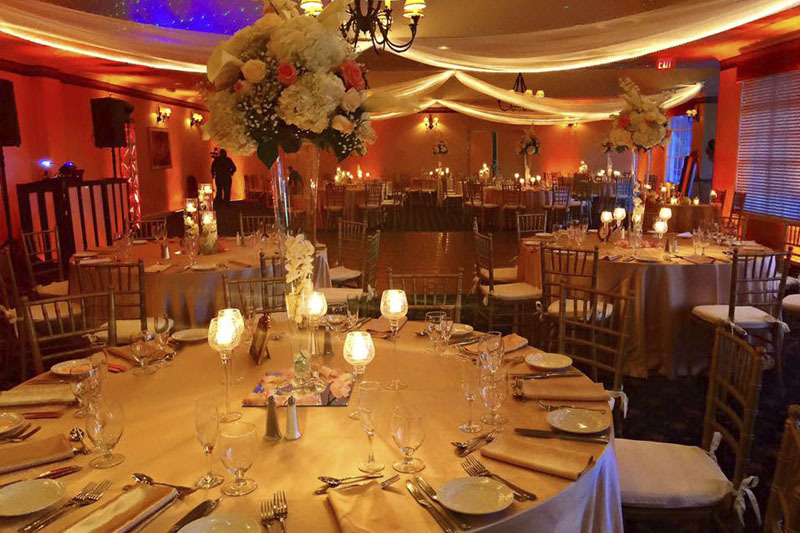 Located between Fort Lauderdale and Boca Raton, Deer Creek Golf Club’s Key West Room is a South Florida wedding venue that offers an inviting ambiance with sophisticated style. From the very beginning, Delray Beach Golf Club was destined to have distinction in many circles because it was designed by the legendary golf course architect Donald Ross. Let Embassy Suites Palm Beach Gardens - PGA Boulevard be the hotel for your next group meeting, wedding or event in West Palm Beach. Our Palm Beach Gardens hotel features over 8,500 sq. ft. of functional space that can accommodate groups from 10 to 500. Less than 20 minutes from the Atlantic Ocean and West Palm Beach, Fountains Country Club is a private club that is open to the public for various private events. A fountain erupts joyously and the breeze wafts through the palms as you celebrate life's special moments. The Harriet Himmel Theater is the cultural centerpiece of CityPlace. The 11,000-square-foot facility hosts weddings, bar mitzvahs, concerts, exhibitions, receptions and banquets, fashion shows, seminars, and meetings. The facility is equipped with staging, lighting, and sound, as well state-of-the-art video. With a downtown location across from CityPlace and just 3 miles from Palm Beach airport, Hilton West Palm Beach is a prime place to host your next work event or social occasion. The hotel boasts more than 24,000 sq. ft. of flexible event space. Make a lasting impression when you plan your next meeting, corporate event or social gathering. 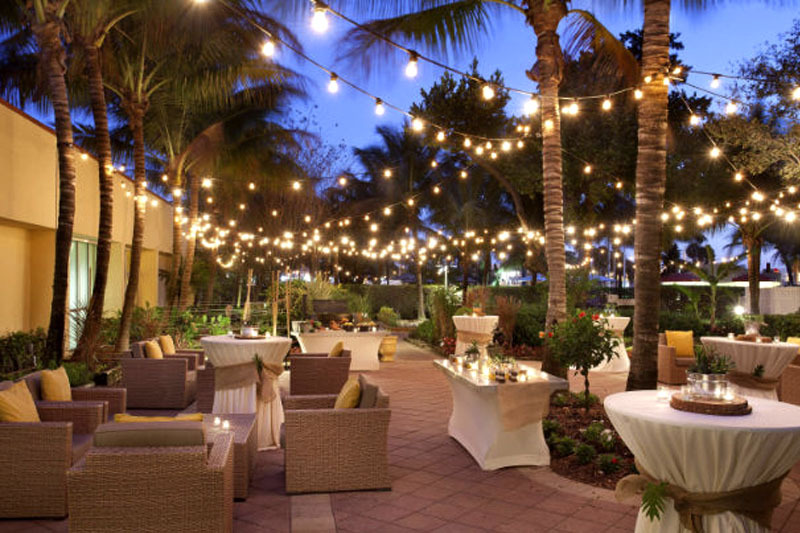 With 7,000 square feet of flexible spaces, exceptional planning services and inviting, beach-inspired accommodations, our hotel is a modern destination for Florida meetings, weddings and celebrations. With its sun-drenched shores, dazzling moonlit ocean views, and sunsets off the Intracoastal terrace, the Casino Building offers an elegant array of indoor and outdoor locations that will provide the perfect backdrop for your seaside wedding or commitment ceremony. Maggiano's private event venue offers first-class amenities, food, and service. We think each and every special event should include exquisite cuisine, rich desserts, freshly brewed coffees and teas, and exquisite wines—and all at a beautiful location. Our private dining spaces can accommodate approximately 250 people. Morikami provides a distinctive venue for the most discerning hosts. 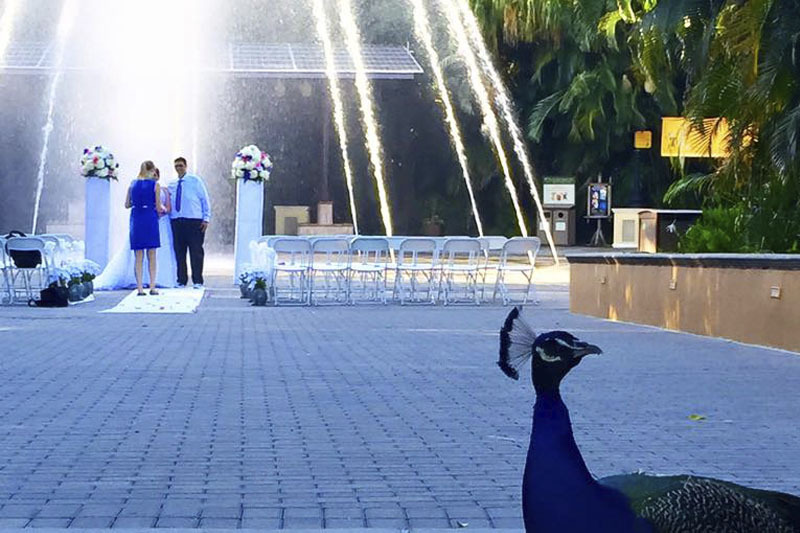 There are romantic sites in the gardens that are ideal for a variety of ceremonies, and Morikami offers many different packages to accommodate parties large and small. The gardens feature several Japanese bridges, waterfalls, and other beautifully landscaped areas for a unique backdrop. Having recently completed an ambitious and successful six-year-long, multi-million dollar renovation, we’ve elevated “classic” to haute contemporary status. Nowhere else will you find such state-of-the-art amenities that also bow to tradition and timeless style. The new Sandhill Crane Golf Clubhouse is approximately 22,000- square feet in size with more than 15,000 of those under air. That means there is ample patio and balcony space surrounding the building. Offering exceptional facilities and amenities in a unique, private setting, with five-star dining and uncompromising service for meetings and events. Whether celebrating a milestone birthday or a 25th wedding anniversary, hosting a charitable fundraiser or planning a corporate outing, The Wanderers Club is a captivating backdrop. 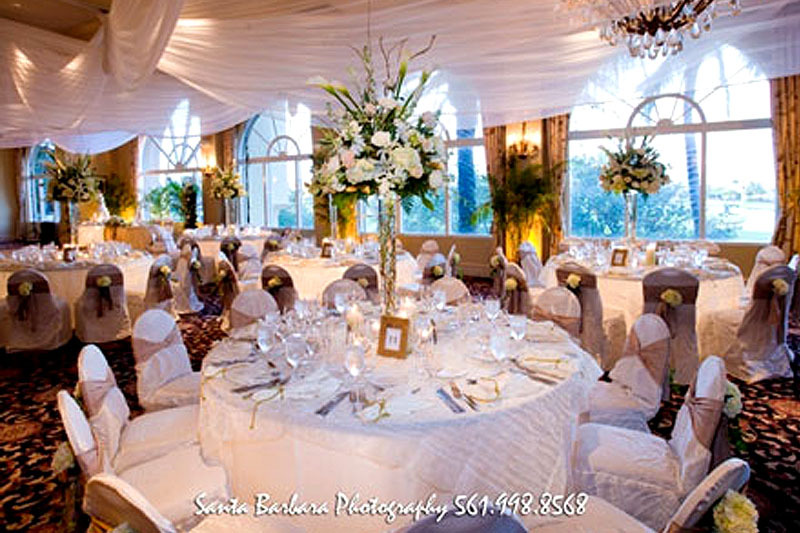 The banquet facility at Westchester Country Club is one of the best hidden event venues in the Boynton Beach area. 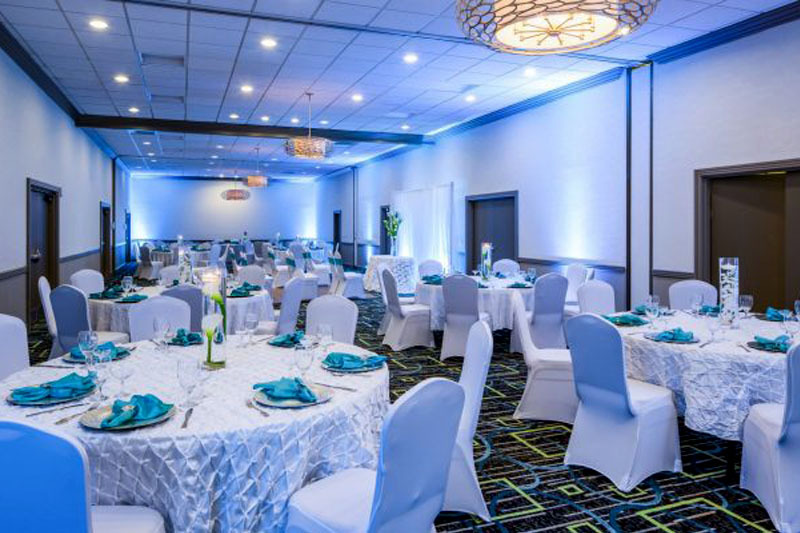 With its recently remodeled main dining room, banquet rooms that can accommodate up to 250 guests and member locker rooms it has that fresh yet refined look sure to impress any of our guests. Plan the wedding of your dreams in our lovely indoor and outdoor wedding venues in West Palm Beach. 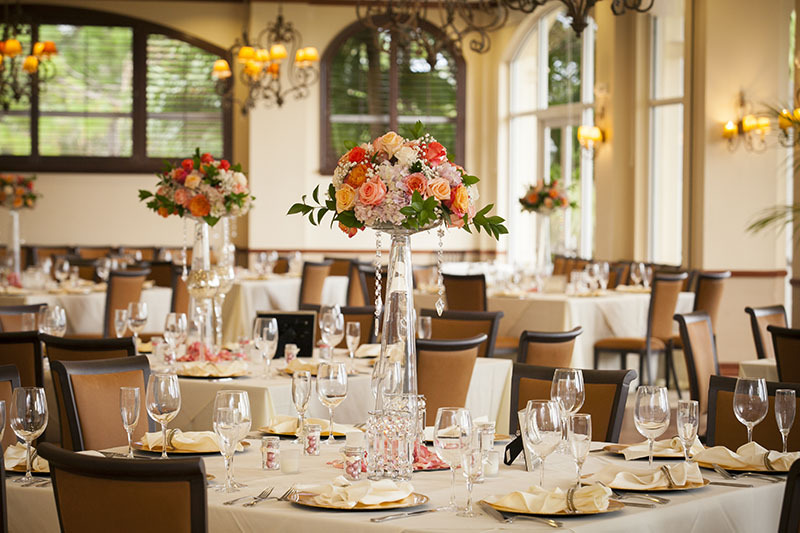 Our hotel restaurant is ideal for rehearsal dinners and wedding brunches here in West Palm Beach. 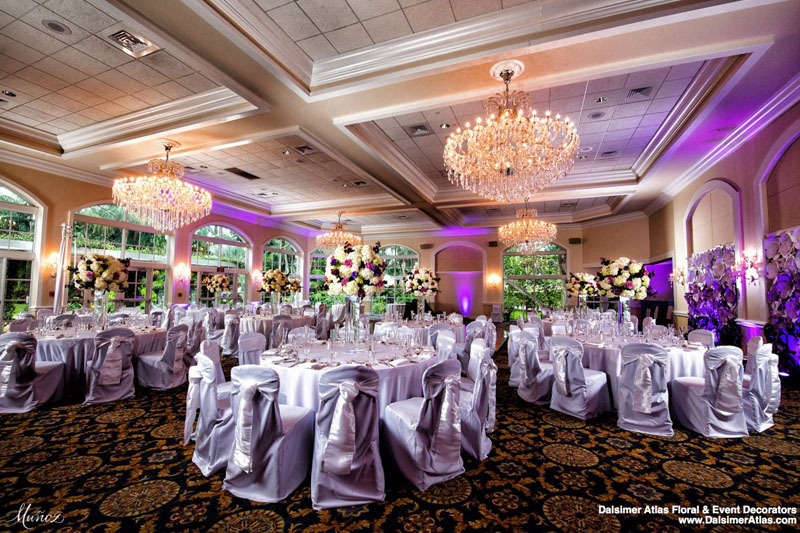 Whether you choose our Grand Ballroom or a charming outdoor venue, our hotel offers an ideal setting. Bordering the Village of Wellington, internationally recognized as a world-class equestrian destination, Wycliffe is located in the heart of Palm Beach County, north of Miami, Florida. This 600-acre immaculately landscaped community is close to everything. Wycliffe is, without question, an ideal location.